Lady Andreds page, after the ancient forest in Sussex, England, whose Celtic name was Coed Andred (pronounced coyd), in honor of her namesake: Andred, the patron goddess of warrior Queen Boudicca of the Iceni. 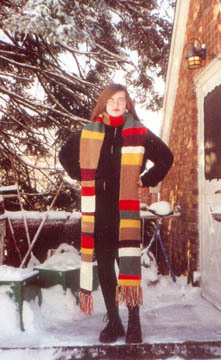 Andred in her own hand-knit Doctor Who scarf, 2001.
with the local replica of the famous Danish statue. 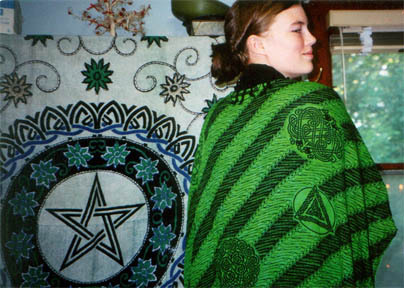 same session as the cover pic for The Witching Hour.